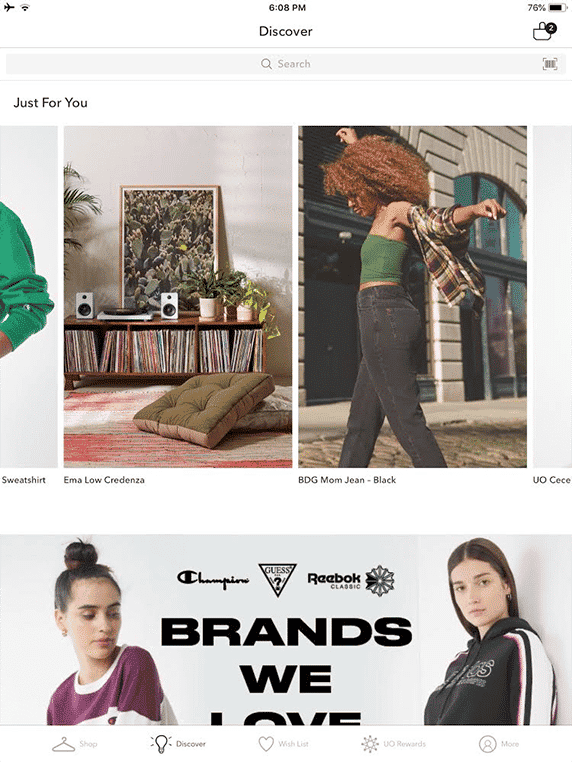 Urban Outfitters spent 2017 investing in a personalization strategy to expand its strong foundation of attribute-based recommendations. 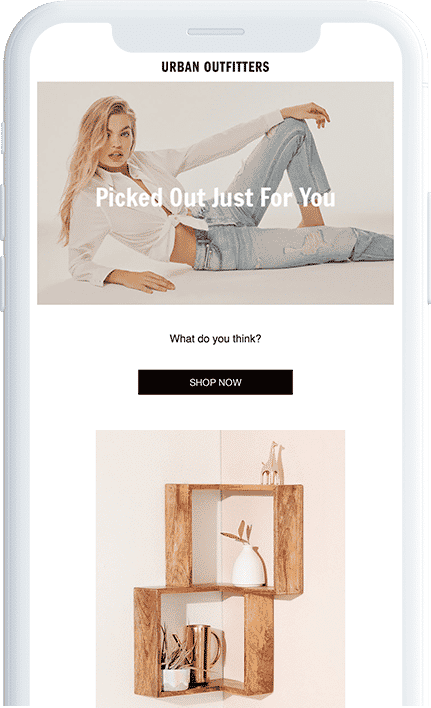 The brand now targets specific shopper profiles and has fine-tuned its mobile notifications, basing the cadence of push messages on a customer’s specific engagement with the brand. The retailer boosted its conversion rate, increased traffic to hundreds of physical storefronts and streamlined online and in-app purchases for a high-touch, wholly effective personalization strategy. We love seeing a brand deliver on its promise to investors that personalization and customer experience are focus areas. Urban’s content-rich app features a full recommendation feature unique to each customer. Products are thoroughly reviewed, and we love the ‘back in stock’ notifications and dedicated labels for customer favorites. Urban provides recommendations based on previously viewed items, and pushes quality content from the blog into elegant features of its products. Each email includes three to five recommendations for shoppers to consider that are displayed in a fun, on-brand way. 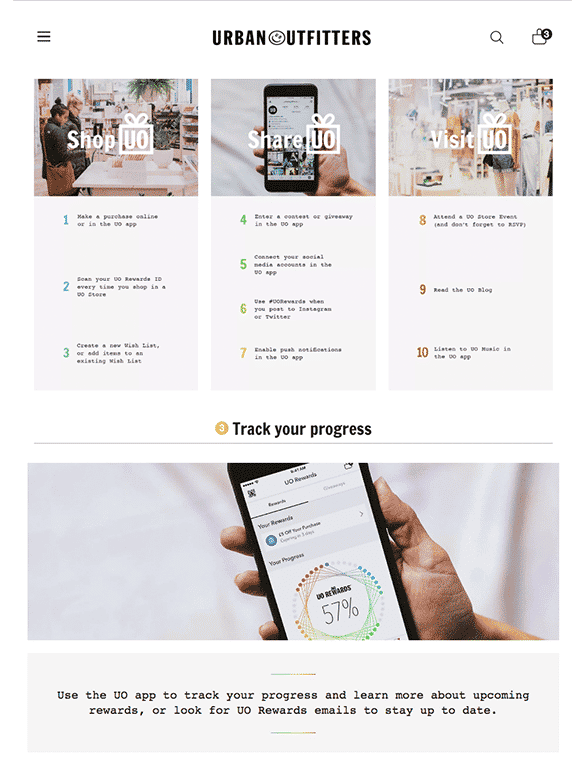 UO Rewards connects all customer activities with liberal rewards, and 10 ways to earn points -- from shopping in-app to visiting a UO store -- that encourage cross-platform and cross-channel interaction with the brand. Rewards span from early access to sales, to VIP exclusive event tickets, birthday prizes and more. It’s all tracked in an easy-to-use app interface.